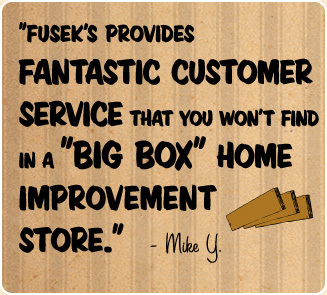 Fusek's True Value Harware offers full service screen repair, including wood or aluminum frames. We can also repair or build new frames based on your measurements. We offer a variety of screen material for all needs. 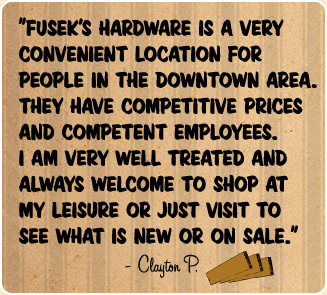 Fusek's True Value Hardware can cut single and double strength glass in sizes up to 36"x36". We also carry plexiglass in a variety of sizes. Keep in mind we can only straight cuts. 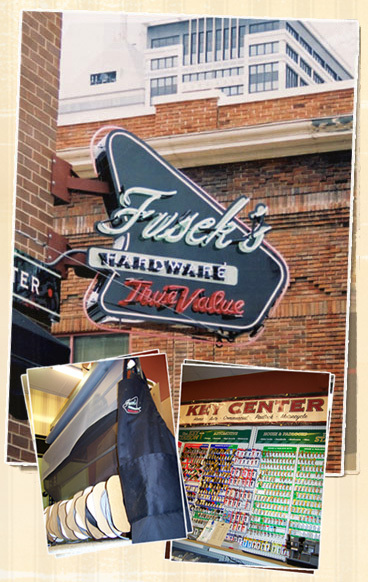 Fusek's has expanded the key cutting department with now two key cutting stations. They have a massive selection of key blanks including car, house, padlock, tractor, VATS, and electronic keys. Fusek's rents carpet cleaners for less. They have some of the best machines on the market that they own and consistently keep clean and well maintained. Fusek's also offers attachments for upholstery and stairs. We will come to your home and custom measure your windows for Levelor Blinds. Turn your home into a show home. We are an authorized dealer for Whitehall signs. It is very easy and reasonably priced. Do need a custom address sign?